Dr. John F. Kozlowicz, 77, of Elkhorn, WI, passed away Wednesday, Dec.19, 2018. He was born June 1, 1941, the son of the late Frank and Esther Kozlowicz. John married the love of his life, Joan Aniszewski, on June 13, 1970 at St. Patrick’s Catholic Church in Whitewater, WI. John was a Professor of Political Science and chairman at the University of Wisconsin-Whitewater from 1968 until his retirement in 2005, where he was fondly known as “Koz”, “Dr. Koz” and “Prof Koz”. Following his retirement, as Professor Emeritus John continued to teach both in person and online through the Fall Semester 2018. His teaching spanned curriculum such as American Government and Politics, Constitution, the Judicial Process, Constitutional Law, Resources for Legal Research and Police, Criminal Justice Administration among other related topics. John was on the forefront of incorporating technology and web-based teaching in the 1990’s with the emergence of the internet, and also designed two new programs for UW-Whitewater, which passed through the curricular process and became part of the academic offering: The Legal Studies Minor and Paralegal Certificate. John was also the Internship Program Coordinator for UW-W, pairing students with legislators, campaign staff for public office candidates, law offices and governmental agencies both in Wisconsin – as well as in Washington, D.C to allow students to view the national political process in action. Throughout his career he advised all Pre-Law students as well as a significant number of Political Science Majors in his 50-year career as a Professor. He found great joy in navigating students to pursue their highest potential. As an accomplished and well-liked Professor, John received numerous teaching awards including: The UW-Whitewater Saunders Award for Excellence in Teaching in the Humanities (1989); The Faculty Service Award, National University Continuing Education Association, Region IV (1992); The UW System Regents Teaching Excellence Award (1996); The W.P. Roseman Award for Excellence in Teaching (1997), UW-W Faculty Service Award (1997); The Commitment to Diversity Award (awarded by the UW-W African American Educators, 1997); Outstanding Teaching Award for College of Letters and Sciences awarded by the Order of Omega (1995, 1996, 1998); the Greek Outstanding Teaching Award (1998); Honorary Member of the Golden Key Society; honored by the Blue Key National Honor Society; and appointed to the Danforth Foundation Associate Program (1998); and The Wisconsin Teaching Scholars (2001, 2002). John served as President of the Elkhorn Police and Fire Commission, a Political Analyst for the Stan Milam Show on WBEL 1380AM (providing political commentary on current issues and especially for National Elections, as recent as the 2016 Elections), Participant of the Political Science Forum on WSUW FM, Member of the Walworth County DUI Court, was an Expert Witness for Karls, et al. v. McCredie, et al for Brennan, Steil, Bastings, & MacDougall, S.C, was a coordinator of the UW-Whitewater Elderhostel Program, a Summer Upward Bound Instructor, Coordinator and Instructor of the McNair Mentor Program and Coordinator of the Fairhaven Retirement Center Lecture Series. Throughout his career, John was frequently a public speaker for regional and national conferences as well as a variety of multi-disciplinary events. 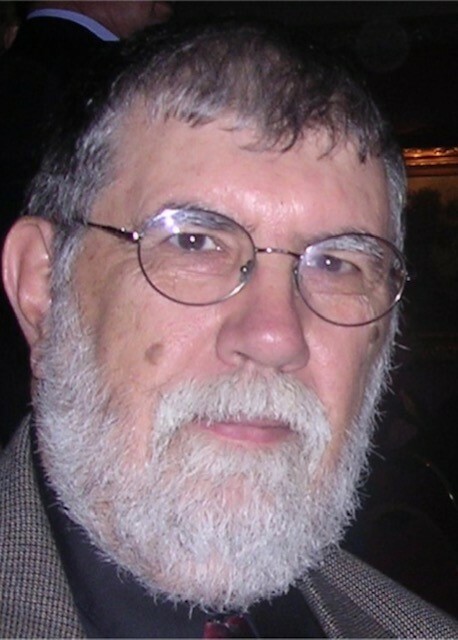 He had numerous publications and received major grants for his work, such as from the Bicentennial Commission of the United States; the Wisconsin Department of Justice (Division of Law Enforcement Services) to develop and teach a 40-hour training course for area police supervisors; the National Endowment for the Humanities grant through UW-Parkside for preparation of a legal research methods book; the Training an Standards Grant from the U.S. Department of Justice to Design and team-teach a training program for the Racine Police Department, “Management and Supervision for Patrol Sergeants”. John received his B.S. Political Science from Loyola University, Chicago 1963; his M.A. Political Science, Northern Illinois University, 1965; and his Ph.D. Government, University of Arizona 1970. John enjoyed a number of activities in his personal time, including everything to do with American politics, reading, exploring with the latest technologies, spending summers up north at his cottage in Eagle River, kayaking, watching movies, enjoying coffee (especially discovering new coffee shops), and bringing laughter to those around him with his humor practical jokes. He absolutely delighted in his grandchildren and enjoyed spending quality time with them frequently. Having grown up in Chicago and being an avid sports fan, he was a devoted and loyal Cubs, Bears and Bulls fan. John is survived by his loving wife, Joan, of 48 years, two daughters, Catherine Kozlowicz of Waukesha, WI, Emily (Sam) Duchac of Wind Point, WI and his two grandchildren, Harrison and Claire Duchac. He was preceded in death by his son David and by his parents. A Celebration of Life will be held by John’s Family at the Hamilton Room of the University of Wisconsin-Whitewater Student Union, from 1-3pm on Saturday January 26, 2019. In lieu of flowers, his family requests memorials be made in Dr. John Kozlowicz’s honor to the Dr. John Kozlowicz Pre-Law Scholarship either online at https://www.uww.edu/foundation/how-to-give/give-now , or sent to: The Dr. John Kozlowicz Pre-Law Scholarship, UW-Whitewater Foundation, 800 W. Main Street, Whitewater, WI 53190. Arrangements for Kozlowicz Family made by Haase-Lockwood & Associates Funeral Homes and Crematory. Online guest book at www.haaselockwoodfhs.com.